It’s that time of year again. Summer BBQ’s, water fights, the ice cream truck and red, white and blue everything in honor of the 4th of July! 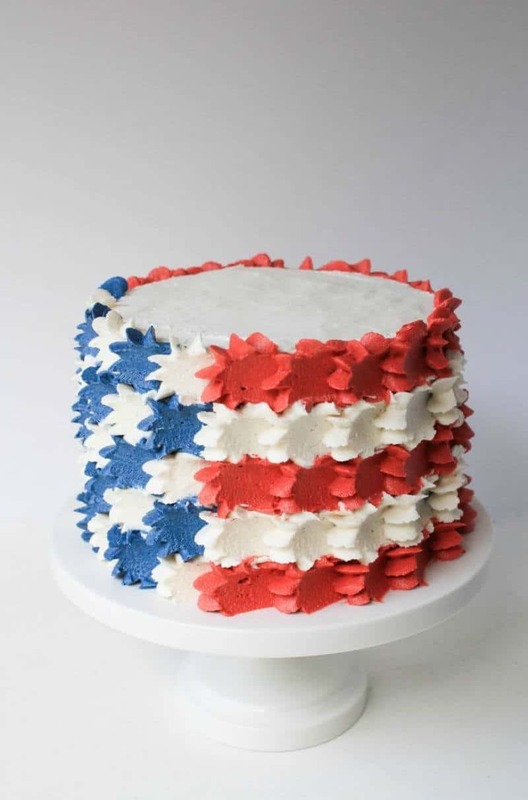 I’ve rounded up some really fun Patriotic holiday cakes I think will get your ideas turning if you’re planning on making a festive cake this year! I really love mosaic patterns and this one is a fabulous 4th design! 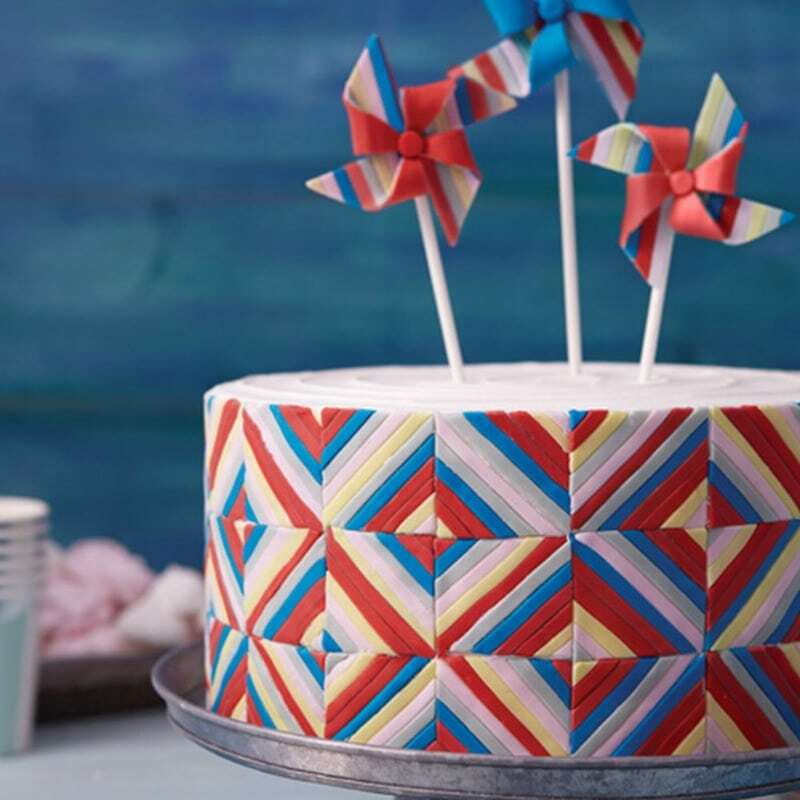 So eye-catching and the pinwheels are super clever. I am in love with the vintage feel this cake has! Takes you back to where it all began. 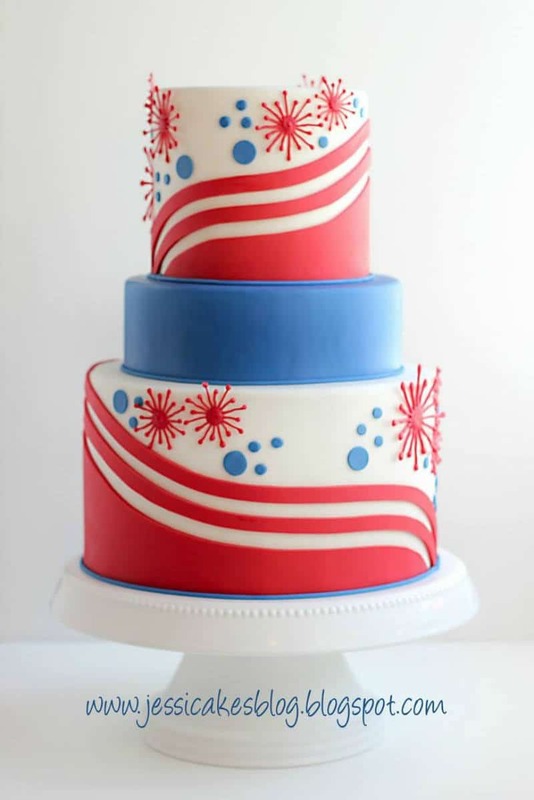 How about an American Flag on the INSIDE of your cake? How fun is that? The sparklers are also a nice touch and you can never have too many sprinkles (on a sprinkle cake). This one is a beauty all around. I especially love the tier with the constitutional writing that even looks like old paper! Gotta love that clean cake design from Jessica Harris. 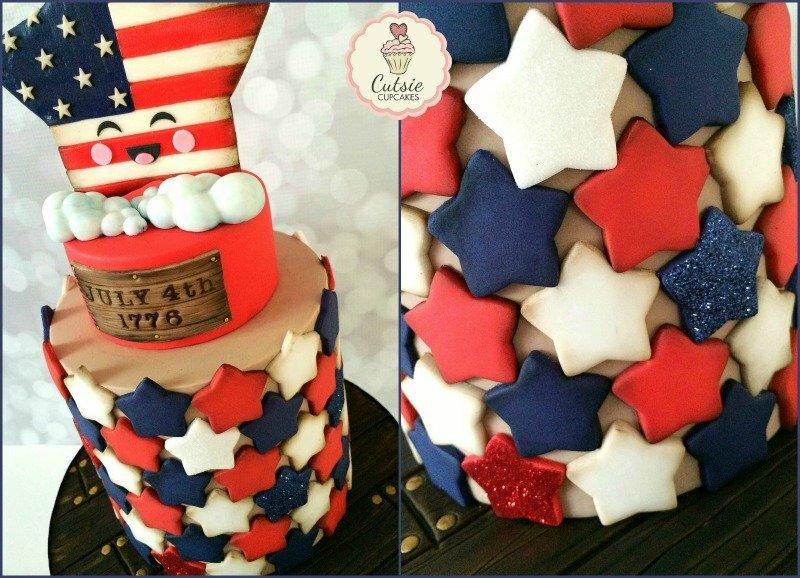 She’s done it again with this fun 4th of July cake! Clean, simple lines and a fun pop of fireworks! This cake really stood out to me among the other’s on the interwebs. As much as I don’t care for piping words, I have to admit this is a really striking design! Oh the ruffles! Such a cool sort of abstract version of the American Flag that has a real Americana vibe. This is one of those cakes that blows your mind with it’s simple genius! Such a fun cake anyone can do! A simple star tip and spatula and you’re set. Why can’t I think of these kinds of things? So holy cuteness overload am I right?! 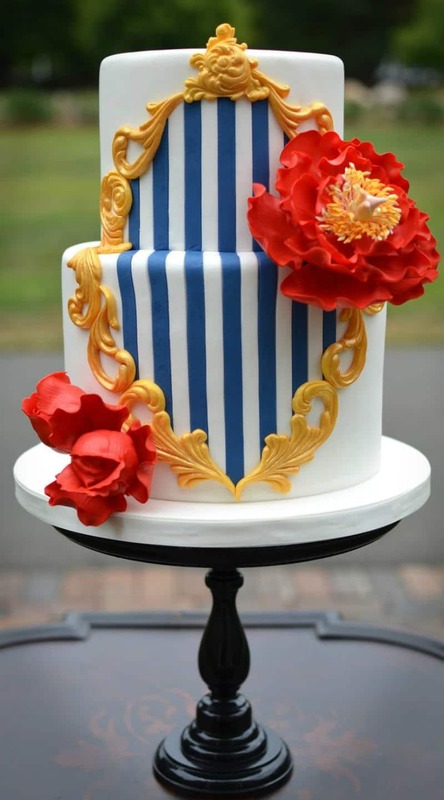 This cake is just so unique and fun to look at. I am a big fan of shading also which this cake is killing and it adds in a rustic appeal. 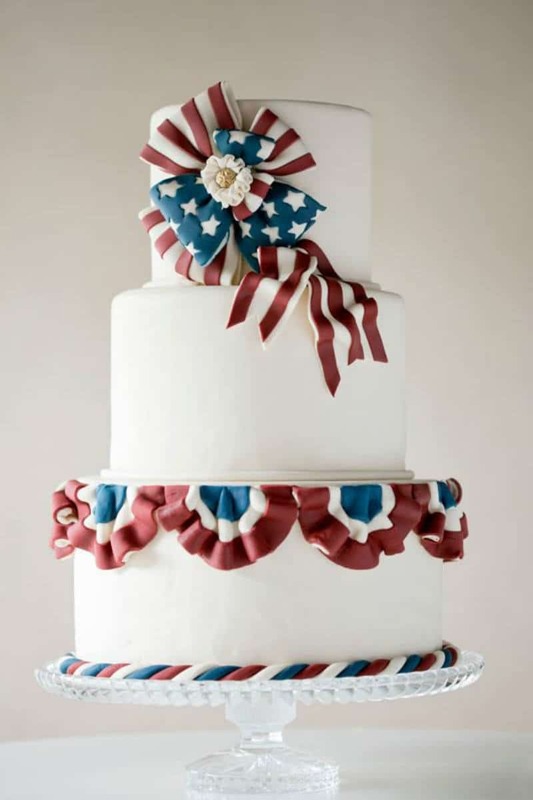 If you wanted to have an Independence Day wedding I’d say this would be a perfect fit. Elegant and stately! 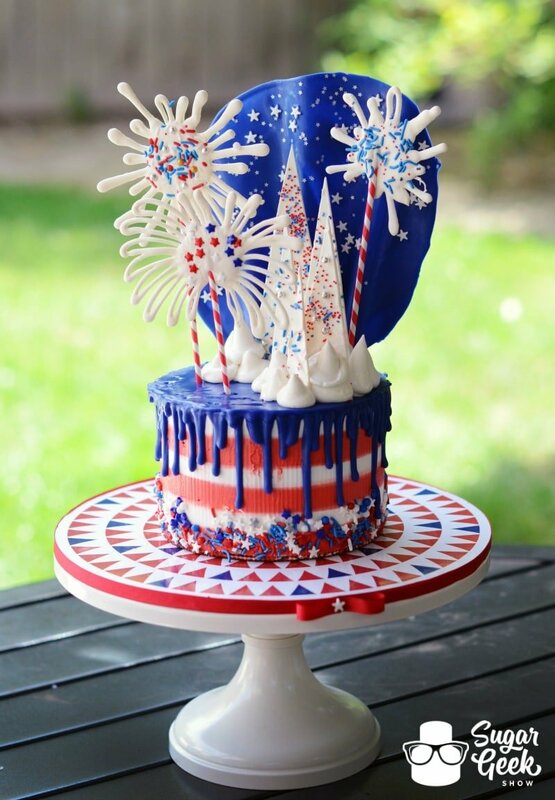 And of course we had to add the insanely fun 4th of July Drip Cake Liz and Dan made on today’s episode of Sugar Geek Show Live! Didn’t it turn out just awesome? Uber festive and surprisingly easy! Check out the Live Show below to see how this masterpiece came together. It’s both educational and entertaining. 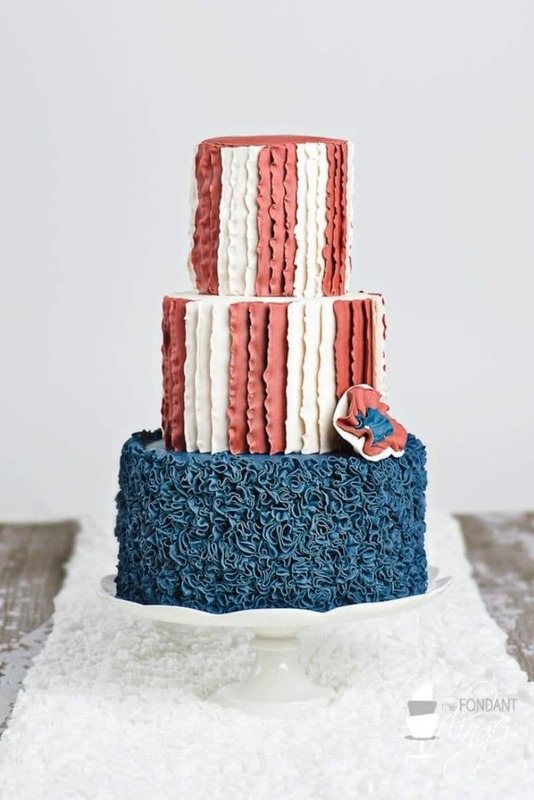 These cakes opened my eyes to new ways to sport American pride! 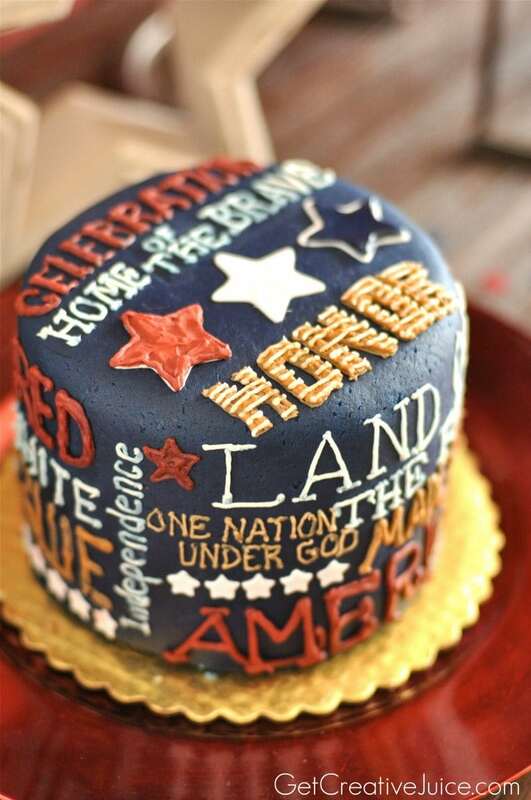 I mean I don’t have a reason per say to make a 4th of July cake, but does one really need a reason? I’m thinking not. 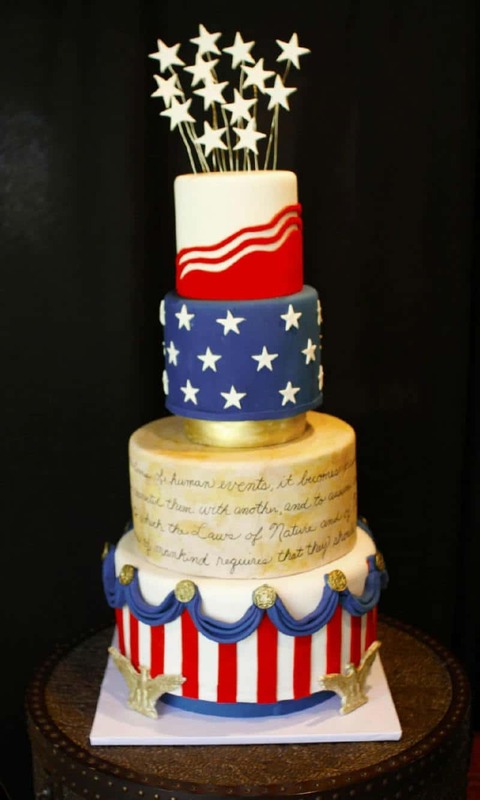 Then I can say I made a cake for the United States of America which is a pretty big deal.